We’re going to avoid anything by Google, Apple, Facebook, and Microsoft, as well as the major players like Snapchat, Spotify, and Netflix, which you’re probably already familiar with. If you’ve got your own suggestions, we’d love to hear them in the comments. The only downside is the meager 2GB of storage space you get for free—to make the most of Dropbox you really need to be paying your $10 a month to get up to 1TB of room. As a paying customer you get offline access to files, 30 days of version history, remote device wiping, and automatic uploading for the photos and videos you take on your smartphone. The best parts of Spark are the way it can prioritize and categorize your emails for you, making easier work of sorting through your inbox. For $8 a month (or less if you pay annually), you can get more cloud storage, more email templates, and lots of other features aimed at teams of people—but the free version should be enough for most. The custom playlists feature is neat too, as is the voice boost for hearing dialog more easily, as is the sleep timer that lets you drift off to your favorite podcast. You don’t have to pay anything to use Overcast, but you will see ads; removing the ads costs $10 a year. Alas, there’s no Android version: Pocket Casts is just about our favorite cross-platform option. Day One is such a good digital journaling app that it makes you think about taking up journaling just so you get to use it. It makes pulling together photos, videos, notes and other memories from a day a joy, and all of your previous entries can be searched and sorted in a variety of intelligent ways—by date or by location or by tag, for example. The app includes a lot of smart extra touches too: Reminders, IFTTT integration, support for various export formats, a passcode lock, automatic weather recording, and so on. Much of the app can be used for free, but if you pay $25 a year, then you can upgrade to store an unlimited number of photos and videos, set up multiple journals, and more besides. Sign up for a pro account—$65 a year—and you can add more than 100 sources, as well as access some really useful features like Google keyword alerts, more advanced filtering and searching, and the ability to add notes and highlights to items in your feed. 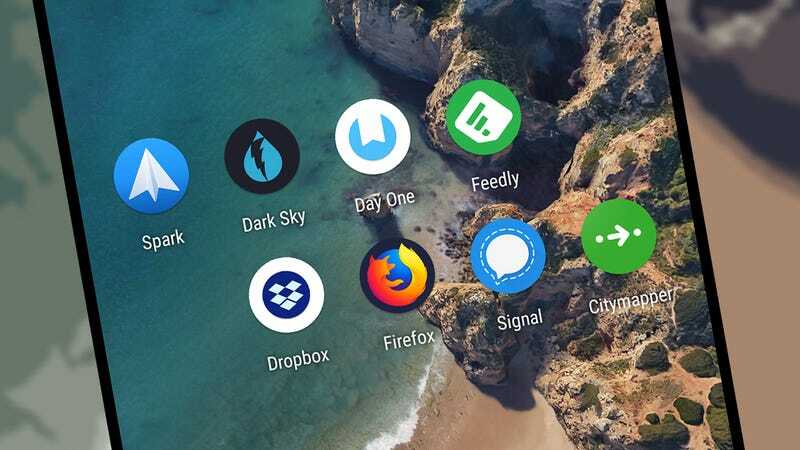 A subscription activates integrations with other services like IFTTT and Evernote for you as well. Take features like the reminder to get off when your stop is approaching, for example, or the at-a-glance summary of how many calories you’ll burn off by walking, cycling, or getting a cab—they’re clever touches, and they’re reliable. The app helps take the stress out of travel, though it only covers major city areas at the moment. Bear is one of those apps that adds style and panache to the most mundane of tasks—in this case, taking notes on your phone. For a start, the interface is polished and elegant, making typing and editing a pleasure. Then, there are some smart organizational tools, like the way hashtags can work as labels, automatically sorting your notes into categories. You can write notes with your voice, set up to do lists, quickly search through your notes, and export them in a variety of formats. Add in a premium subscription ($1.50 a month), to change the color theme, access more exporting options, sync between your devices and more. Bear is iOS-only, unfortunately, but if you’re on Android, give Notion a try.